Most of us have a few valuables around the house which we wish to keep safe, surely we can put them in the traditional safe that's hidden in a closet or still better to put them in the bank. But if you are hiding your precious things in the drawers or other obvious places, then perhaps you should consider these hidden safes. 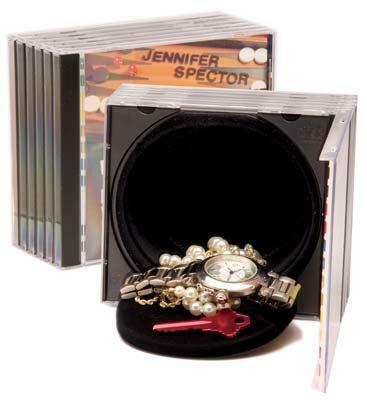 Hidden Safes or Diversion safes are regular looking objects that have hidden compartments inside. Though we aren't so sure how far are these Hidden Safes 'safe'; perhaps only until they are discovered! 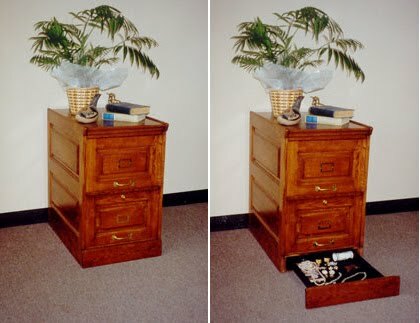 Filing Cabinet Hidden Safe: This hidden safe allows you to store your valuables in the bottom panel of an oak filing cabinet. "The drawer safe comes with two hidden switches: a Key Switch and a push button switch that allows the safe drawer to release." 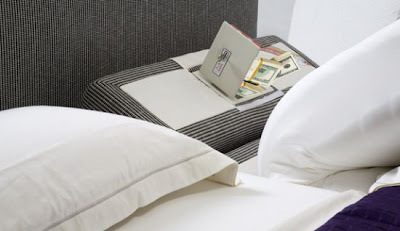 Under Pillow Safe: Its positioned under the head area under the mattress, which means to access it the person sleeping on the bed has to move physically. 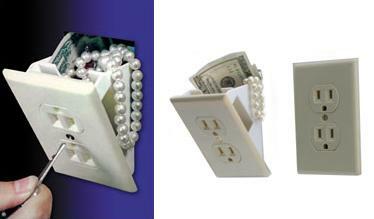 Air Vent Safe: It comes with two removable shelves that can be customized as per your storage needs. "The do-it-yourself kit is relatively easy to install, requiring that you remove a small section of drywall and screw in the air vent compartment. Access to the safe is granted via a quarter turn fastener hidden in the louvers." 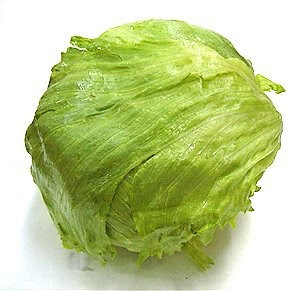 Lettuce Safe: This realistic looking Lettuce, has a hidden compartment; the bottom snaps off to reveal a secret hiding place. 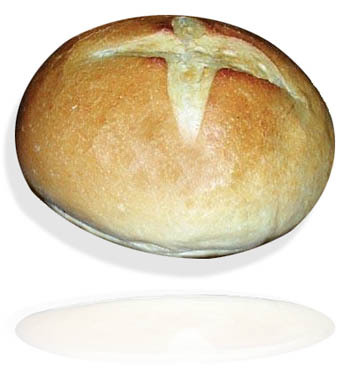 Place it in your refrigerator in the vegetable compartment with your most valuable small items inside for safekeeping. 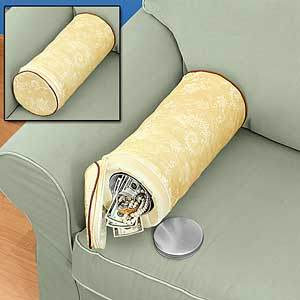 Hidden Wall Safe Pillow: It measures 16" x 61/2" pillow, 5" x 4" diameter storage area. "Pillow safe hides your valuables in plain sight!" Bread Safe: It comes with a hidden compartment in which your valuables can be stored. Rock Safe: It measures approx 9 cm long x 6 cm wide x 4 cm high and the inner compartment is 6.2 cm long x 3.5 cm wide x 2.5 cm deep. These are quite easy to conceal and you can put them anywhere, even in your fish tank. 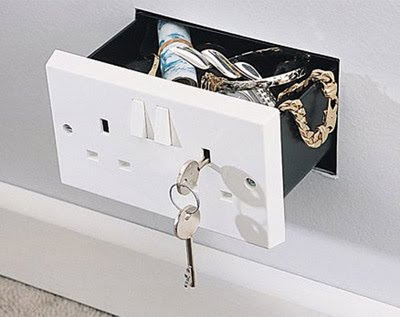 Wall Socket Hidden Safe: It looks like the rest of the plugs that are already installed in your home, made out of a regular plug outlet, except this one can hide your valuables. 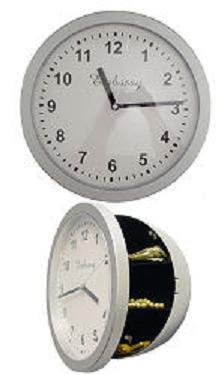 Wall Clock Safe: It features a working clock; it has 3 separate spaces inside: clock diameter is: 10 inches and the inside diameter is: 8 1/2 inches with a depth of 1 7/8 inches. 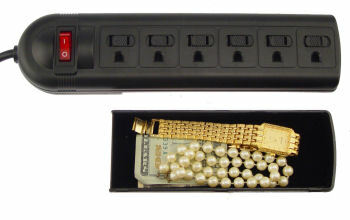 Surgeprotector Safe: Its non-working, it can plugged into a wall outlet, it measures 6 inches x 2 inches by three-quarter inches. 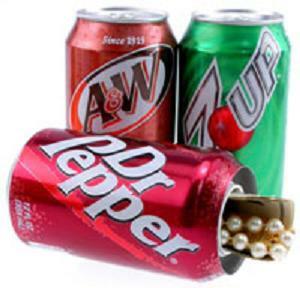 Soda Can Safe: Unscrew the top of the can and place your valuables and put it with the rest of your drinks right in your refrigerator. 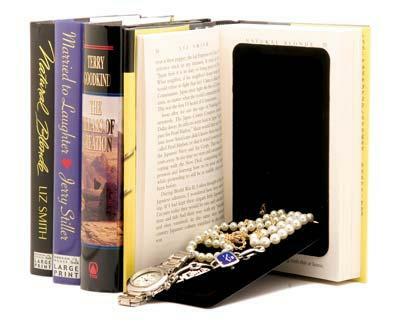 Book Safe: The storage compartment measures 7" x 4" x 1 1/2", cleverly conceals your valuables. 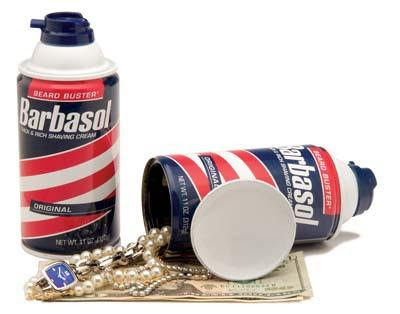 Shave Cream Safe: Quite difficult to differentiate from the real product as its even weighted to feel full. Water Bottle Safe: This is an actual water bottle, the base of the bottle when rotated counter clockwise and pulled apart, a hidden area that measures 2 1/2" by 2 1/2" will be revealed. 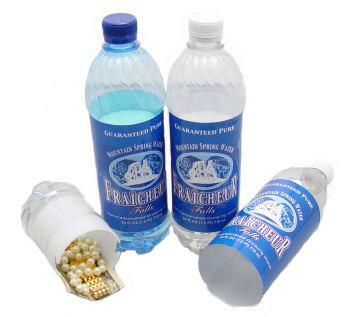 To make it look realistic the bottom portion of the bottle below the label comes filled with water and the hidden area is behind the label. CD Safe: It measures 4 1/2" x 4" and is 2" deep, large hidden storage compartment lets you hide just about anything. 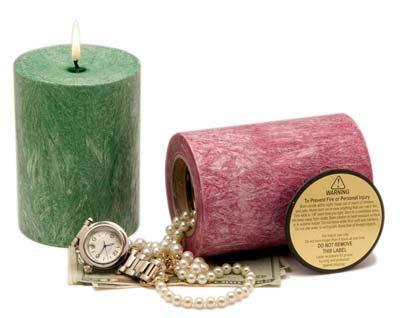 Candle Safe: It measures 4" x 5 1/2", the compartment measures 3 3/4" x 2 1/2", at the bottom of the candle contains a hidden seal that you remove to put valuables inside. It's a real candle with a metal container inside; it lasts up to 4 hours too.